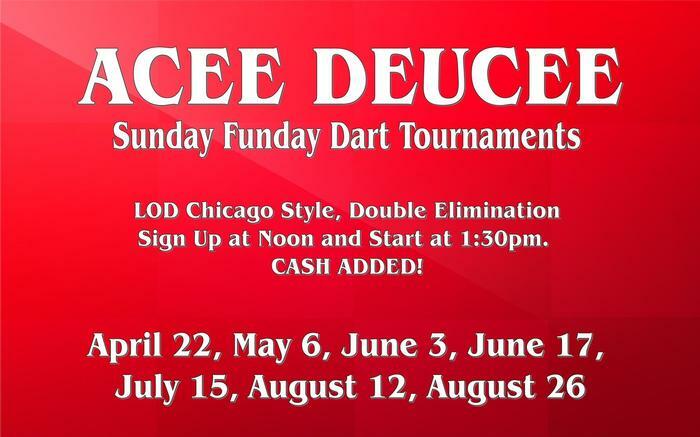 Sunday Funday Summer 2018 Dart Tournament Series is back at Acee Deucee! 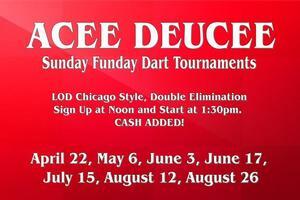 LOD Chicago Style Double elimination. Sign up at noon, Starts at 1:30pm. Cash added!